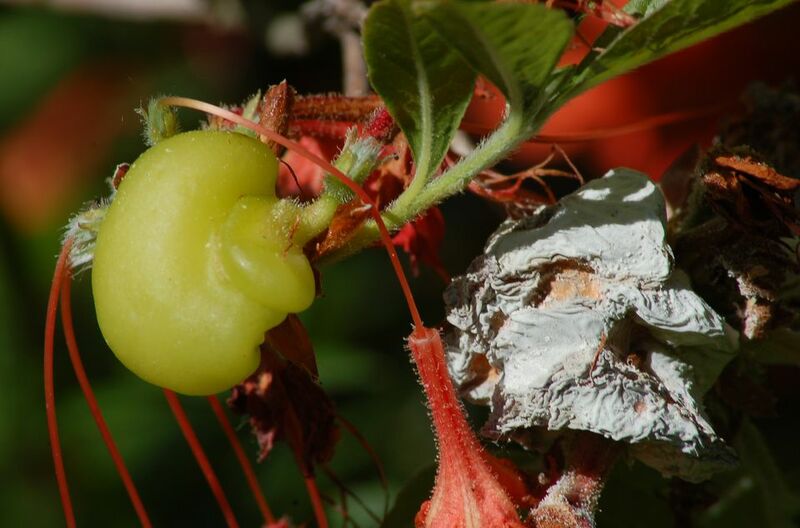 A gall represents the plant's reaction to damage caused by an invading agent. In the case of azalea galls, that agent is a fungus (see below). But there are other agents that cause galls to develop on other plants. For example, one master gardener has written about the leaf galls caused by insects on various trees. In phase one, the swollen leaf tissue is waxy and most often pale green. In phase two, it is a gray blob (and more recognizable to the beginner as some sort of fungus). Even the flowers on azalea bushes can be infested with galls. First of all, take solace in the fact that their bark is worse than their bite. As alien-looking and repulsive as azalea leaf galls are, they are not considered overly serious. They are caused by the fungus, Exobasidium vaccinii. Pick off the leaves where the azalea leaf galls occur and dispose of them properly. Do not put them in the compost bin, and do not leave them lying around on the ground, lest the fungus spread to other branches. Furthermore, as is usually the case when dealing with fungus prevention, make it a point to apply water to your azalea shrubs down at ground level, rather than spraying from above. The latter practice gets the foliage all wet, which is an open invitation to fungi. Having said all that, overall, I have found the amount of time I need to put into azalea care to be relatively minimal here in the Northeastern U.S. Care has consisted mainly of occasionally spraying neem oil on my Gibraltar azalea to kill aphids. What Are Those Small Bumps on the Leaves of Your Trees?